In November 1925, after Alabama's undefeated season captured the Southern Conference crown, the likelihood of participating in the sport's one postseason contest was slim. While the Washington Huskies' 9-1 record earned their way to play in the The Tournament of Roses New Year's Day contest the opponent was far from decided. Dartmouth, who had also gone undefeated that season, was the intial choice of the Rose Bowl committee but that option was squelched when the players objected to the long trip to the West coast it would require. Pittsburgh, Colegate and Wisconsin were all subsequently considered. In early December, a University of Oregon graduate manager, Jack Benefield, was sent by the Pacific Coast Conference to Chicago to meet with Tulane Coach Clark Shaughnessy to see if the Green Wave would play in the New Year's Day Game. Shaughnessy declined on instructions from the school's administration but then recommended Alabama. 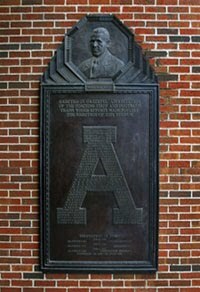 "I've never heard of Alabama as a football team," Benefield replied. "And I can't take a chance on mixing a lemon and a rose." Shaughnessy persisted and went so far as phoning Alabama Coach Wallace Wade from the hotel the men were meeting at. Asked if the Crimson Tide would be interested in playing in Pasadena, Wade replied, "Definitely." 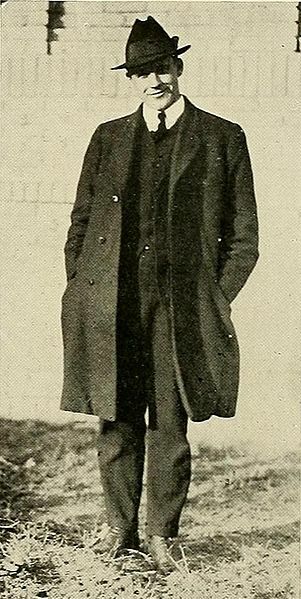 Benefield then traveled to Alabama to make the arrangements but before they could be finalized Wade insisted on getting the approval of his players. "Going to the Coast was a big thing," Wade later said. "It would take us five days on a train from Tuscaloosa. I told them it would deprive them of their Christmas vacation and that they would have to stay in training another three weeks." "It took them about two minutes to make up their minds."